“Clouds over the whole expanse of sky, nowhere showing any immediate disposition to fall as rain, yet nowhere allowing the sky to appear decidedly, nowhere even becoming themselves decided, keeping everywhere a broad indefinable wash of greyness, a grey so dim, uniform, and all-pervasive, that it defied observation, floating and melting away into a dimly blotted horizon, an horizon which, whether at any given point to call sea or sky, land or water, it was all but impossible to decide. Grania O’Malley is out at sea with her father, on his small fishing boat. She is delighted to be there with him, to be part of what is going on. Her father’s companion, Shan Daly, who is careless of the welfare of his poor family does not impress her, but she is delighted to encounter young Murdough Blake, her greatest friend. She was a happy child, curious and confident, and utterly at home in the world around her. Her family was better off than many of the islanders, they were respected, and though her mother had died when she was young her father and her elder sister, Honor, were bringing her up well and she loved them both dearly. Her father saw Grania grow into a handsome and capable young woman, and when he died she took on responsibility for the family home. It was a simple two-room cabin, but it was comfortable and familiar, and they knew that many of their neighbours had less space and more people to occupy it. Grania took care of Honor, whose health was failing; and she worked hard, getting in her own crops of potatoes and oats, and fattening her calves and pigs for the market; and she thrived. Everyone thought that Grania O’Malley and Murdough Blake would marry – and they thought so themselves – but he had not grown up as well as she had. He was handsome, but he was vain, he was lazy and he took Grania’s affection for granted. She continued to love him, but one day when she really needed him he let her down, and then she had to accept that he didn’t love her as she loved him. Grania struck out independently, but the consequences would be tragic. The pictures of Island life that Emily Lawless draws are wonderfully vivid. She conveys the unforgiving nature of the landscape and the ongoing struggle for poverty that trapped so many of the islanders; she understands the beauty of the island, and the strong sense of identity felt by the islanders. She sees the joys and the sorrows of their lives. She was the star, and I had to both love and admire her. 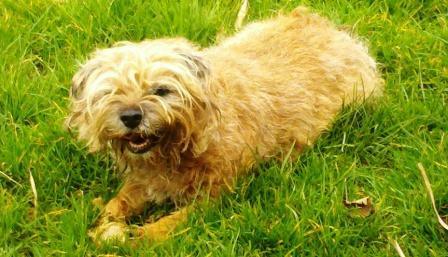 It was lovely to share her joy in her life and her world, but I was devastated when things went wrong. Her story is a wonderful variation on the new woman novel of the period. Grania loved her family, her community, her world; but her life was circumscribed by them and she had the capacity to do so much more, to be so much more. 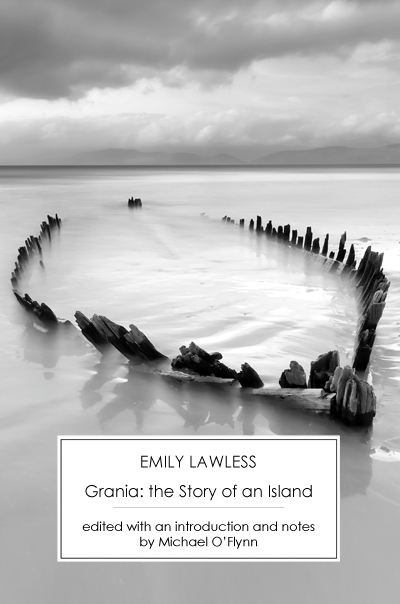 But this book is titled ‘Grania: the Story of an Island’ for a very good reason. It is also a lovely, lyrical account of an island and a way of life that had been unchanged and untouched by outside influences for generations, but would not be for much longer; and it leaves me haunted by that world and by one young woman who lived there. That image on the front cover is just amazing. A powerful and unusual book and hooray for those! Wonderful review, Jane! I definitely want to read this. Wow. Those quotes are just GORGEOUS. Thank you! Jane….what a lovely review and what an incredible introduction yet again! I will try and see if I can get hold of this soon!